Video of a public art piece by Jill C. Weisberg in FAT Village in Fort Lauderdale, Florida. Created in September of 2016. This public art installation challenges the viewer to evaluate their personal concept of a safe space. It was created from hand poured exterior house paint and hand cut letters. The silver background tinsel attracts the eye as the light hits it further attracting the viewer. It was on view at Storefront Art Studio in Hollywood, Florida from September to October of 2018. 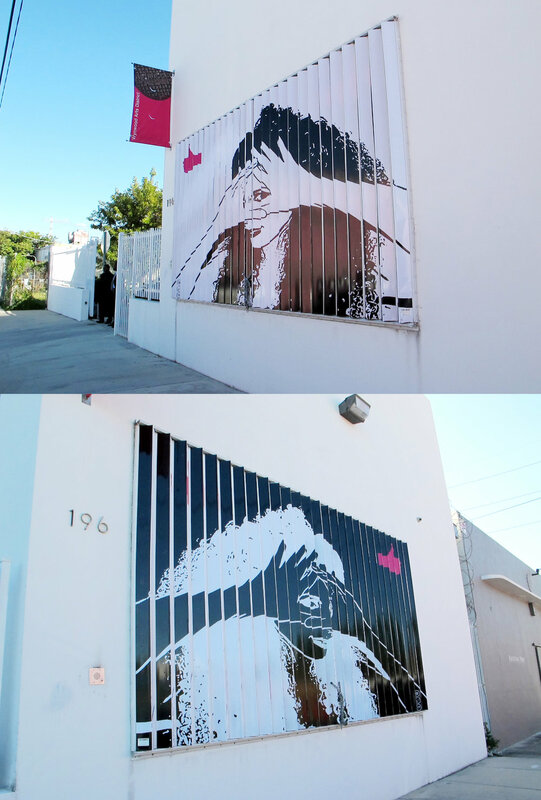 LONELY GIRLS mural in Wynwood, Miami by Jill C. Weisberg. Created in 2014.